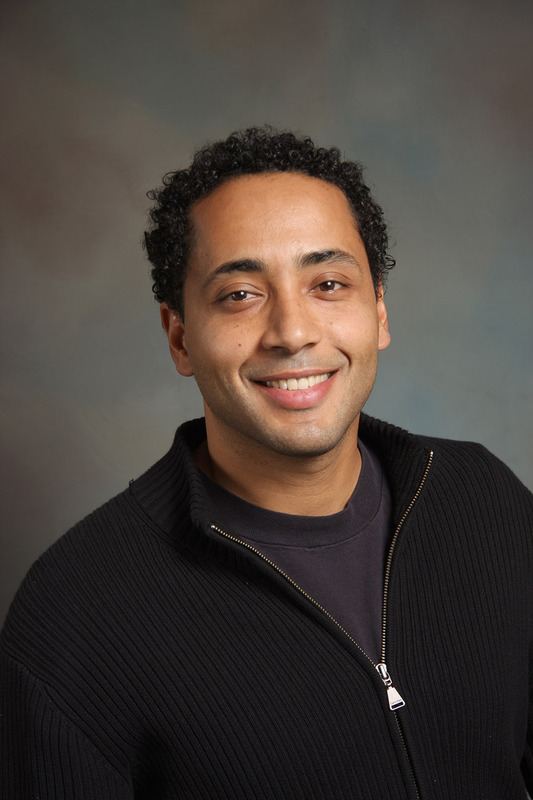 Eric Hurley is committed to doing research with implications for the social and educational outlook of African American and other minority children. He is especially interested in exploring the idea that all learning (cognitive development) takes place during social interactions and that, as a consequence, what develops necessarily reflects the social and cultural milieu in which those interactions occur. Ongoing work in the DSC Lab has sought to address difficulties created by the fact that many racial and ethnic and minority children, whose cognitive and behavioral repertoires are derived from the Deep-Structure Cultural values of their home and community, find themselves at odds with classroom demands geared toward the values and priorities of the Euro-centered mainstream. These children find themselves forced (implicitly) to choose between academic success and maintaining a sense of identity and connection to their home culture. Things are typically further complicated by the racial tensions that are well documented in US schools. He and his colleagues have found, in a variety of studies, that infusing learning contexts with elements of students' home culture can alleviate this troubling mismatch. Another line of research reconsiders questionnaire methods of measuring people's cultural orientations. These observations suggest that important between-Diaspora (Asian vs. African Diasporas) differences in the expression of similar orientations (such as group orientation) may compromise the validity of self-report measures used across groups. It also indicates notable within-Diaspora (African Americans and continental Africans) similarities. The work argues for extensive ethnographic redevelopment of related concepts and measures. In his lab, Eric Hurley pursues three main and interrelated questions—first, whether peoples’ culture-based orientations can be relied upon to predict their attitudes and behavior; second, how to develop processes to ascertain why and how people’s culture based orientations may influence them toward one outcome or another; and third, whether there will be important similarities and/or important differences in the expression of a given cultural theme between peoples of different diasporas. Reynolds, J. Gonzales-Backen, Allen, Hurley, E. A. ­­­­Donovan, Hudson, Agocha, Schwartz, & Williams, (2016) Racial-ethnic identity of Black Emerging Adults: The Role of Parenting and Racial ethnic socialization. Journal of Family Issues, republished on Feb. 2, 2016. Yap, S. Y., Donnellan, M. B., Schwartz, S. J., Zamboanga, B. L., Kim, S. Y., Huynh, Q., Vazsonyi, A, Cano, M, Hurley, E. A., Whitbourne, S, Castillo, L, Donovan, R, Blozis, S, & Brown, E. J. (2015). Evaluating the Invariance of the Multigroup Ethnic Identity Measure Across Foreign-Born, Second-Generation and Later-Generation College Students in the United States. Cultural Diversity and Ethnic Minority Psychology. Hurley, S. P., & Hurley, E. A. (2011). Self-Construal, Culture and Diversity in Higher Education. In Deborah Mashek & Elizabeth Hammer (Eds). Empirical Research in Teaching and Learning: Contributions from Social Psychology. Schwartz, S. J., Weisskirch, R.S., Hurley, E.A., Zamboanga, B. L., Park, I. J. K., Kim, S. Y. Umana-Taylor, A, Castillo, L. G., Brown, E. & Greene, A. D. (2010) Communalism, familism, and filial piety: Are they birds of a collectivist feather?" Cultural Diversity and Ethnic Minority Psychology. 16(4) 248-260. Hurley, E.A. (2009). The Performance Gap: Stereotype Threat, Assessment & the Education of African American Children. In Noel S. Anderson & Haroon Khareem (Eds.) Education as Freedom: African American educational thought and ideology (Critical essays). Rowan & Littlefield, Lexington Books, Lanham, MD. Tyler, K.M., Dillihunt, M.L., Boykin, A.W., Coleman, S.T., Scott, D.M., & Hurley, E.A (2008). Examining cultural socialization within African American and European American households. Cultural Diversity and Ethnic Minority Psychology 14(3), 201-204. Hurley, E.A. & Allen, B. A. (2007). Asking the how questions: Quantifying group processes behaviors. The Journal of General Psychology: Experimental, Physiological, and Comparative Psychology, 134(1),5-21. Tyler, K. M., Boykin, A.W., Miller, O. A. & Hurley, E. A. (2006). Cultural values in the home and school experiences of low-income African-American students. Social Psychology of Education 9 (4), 363-380. Jeffrey S. Tanaka Memorial Dissertation Award for Excellence in Doctoral Research, American Psychological Association, OEMA. Dissertation title: Culture and patterns of cognitive development as they are related to the school performance of African-American children.